King Osee (Hosea/ the Yellow Emperor) the last King of Israel or Samaria fled with his blonde and red headed warrior horsemen of Manasseh with contingents from the Tribes of Asher and Gad into the East beyond the reach of the Assyrians. The warrior horsemen eventually headed north and established the Kingdom of Xiongnu (the bearded men of Zion). This branch of Eastern Manasseh of R1a M417 became R1a Z93. They established a great Empire led by the Changyu (Warrior Horseman King). From this Siberian/Chinese homeland some clans of Z93 Manasseh (not Z94) moved West across the steppes of Russia and Poland and reached Britain and others went south to Pakistan. They followed a religion they called Tore or Toru (law) which was a mix of the Israelite religion with Shamanism. They were known as the Turks or Toruk as followers of the Toru. The Tengri (Blue Sky God) was seen to be embodied in the Chanyu who protected the Amazon or Zhou Queen (Wang) who was seen as the embodiment of Eje or Kozara the Mother Earth Goddess. In recent years archeologists have found the tombs and mummies of the ruling class of the Xiongnu in North Western China but of course using evolutionary methodologies they date the remains much too early. Dna tests on the remains demonstrate they are R1a ydna. The mummy of the red headed Loulan Beauty may be Queen Kushi (the wife of King Hosea of Israel) herself. The period of Xiongnu history before 200 BC is what archeologists called the Andronovo Culture. A R1b Z93 y-dna branch of Manasseh also moved into the area of what would be called Khazaria in the North between the Black and Caspain Seas. This is what archeologists call the Sintashta Culture which they date much too early but was actually in the period between 550-350 BC.The Western Manassehites of L664 went into Europe via Turkey and/or Greece. It would also seem that a contingent of the Tribe of Benjamin also went to China with Osee and the Tribe of Manasseh, Asher, Gad and Benjamin would intermarry there in their Chinese/Siberian Exile. This group of Benjamin was of Q1a ydna and Prince Shu Yu of Benjamin was the ancestor of the Jin dynasty and the Xianbei. Benjamin that remained with Judah in Palestine was of Q1b ydna of whom some would establish a Benjaminite Kingdom in Afghanistan after the Exile to Babylon. Thus there was a Siberian Q1a Benjaminite Kingdom to the north east of the Manassehite Xiongnu and some of the Benjaminites crossed to America. 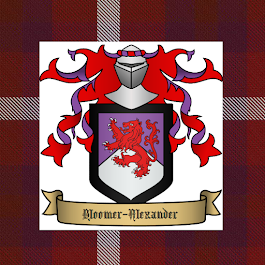 From Prince Ame of Asher the brother of Queen Kushi would descend the Xiahou family and the Emperors of Cao Wei and the Takamuko Clan of Japan of O2 ydna. 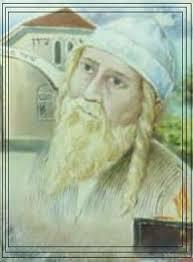 Thus we see that the lost Tribes of Israel were found in the far East as well as the far West. They lost their identity as Israelites becoming known as the Xiongnu (R1a Manasseh), Wei (O2 Asher), Han (O3 Gad) and the Xianbei and Jin (Q Benjamin), Hephthalites (N1c1 Naphtali) and Xionites (N1c2 Dan). 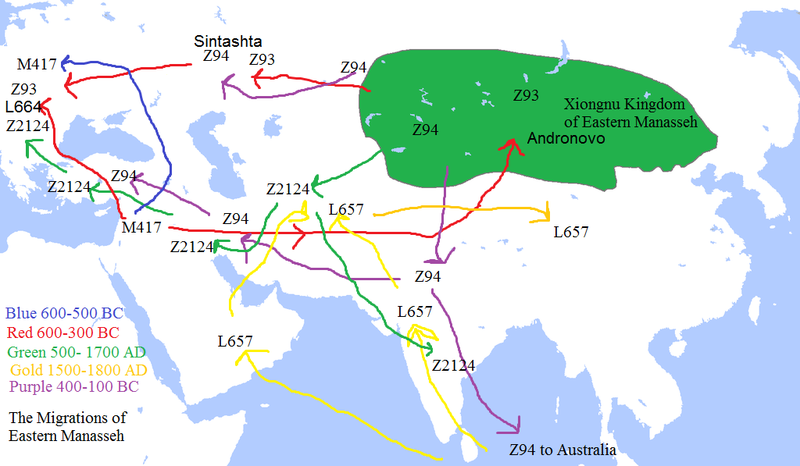 Their Israelite queenly line and Tribe of Zhou or Amzhou was of H mt-dna. One group of R1a Z94 moved from Western Xiongnu towards Russia while another group moved south to the area of Uzbekistan and Turkmenistan. From there Z94 split into two groups one heading through Iran to Eastern Turkey (Anatolia) and the other going South to Sundaland (Indonesia) and northern Australia where they established a kingdom or Empire known as Mani or Manzi. To the South of Mani was the Reubenite or Rhadanite Kingdom in central Australia called Chabor on the shores of the Shallow Sea (Yam Rodud) and to the East of Mani was the southern white Gadite Kingdom. Both the Tribes of Gad and Asher were divided into white-skinned Gadites (Australia) and white-skinned Asherites (Japan) and the bronze-skinned Gadites (China) and the bronze-skinned Asherites (south east Asia). The white skinned Gadites over time became darker due to intermarriage with black women. A group of Z94 known as Z2124 moved either from South western Xiongnu or from the Turkmenistan/Uzbekistan settlement towards Iran and Turkey (most likely the original Ottoman or Orguz Turks whose later Sultans belong to Z93 L657 ydna) and as Ottomans into Eastern Europe and other places. One group of Z2124 moved south into northern India as part of the Mugal Empire of India in the 15th century. They were joined in India by the L657 branch of Z94 who had settled in northern Australia and Sundaland (Indonesia) though some of this branch may have come to India earlier in the time of the Emperors of the Three Indias in the Middle Ages (Y2351 clan of L657). Rajadhiraja Chola II (Jadaron Bagratuni/ Jatavarman) was the first Prester John and Christian Emperor of the Three Indies in the 12th century. At this time a contingent of the Mani went to the court of the Emperor led by Kaya or Kayi a son of Hanki or Hanok III King of the Rubani and Overlord of Greater Java (of R1a L657 ydna). Prince Kayi went north to the territory of the Orguz Turks where he became a Muslim and married a Princess of the Orguz Turks called Temura the daughter of Prince Kizil Bughe. Kayi and Temura were the great grandparents of Prince Atman or Atouman of the Orguz Turks. Atman became known as Osman or Othman the first Sultan of the Ottoman Turks. Another group of L657 Manassehites (Y4 of L657) left Australia around 1530 AD with the R1b- U152 Reubenites via Arabia, the Persian Gulf, Iran and Afghanistan and Kazakhstan region. This was led by King Joseph of the Rubani, Mani and Gadi and his brother Prince David Rubani (who firstly went to Europe and escaped from the Inquisition prison in Spain to rejoin his people who were at this time in Arabia near the Persian Gulf before heading north east to Afghanistan and Russia). The Rubani belonged to U152 ydna, the Mani to R1a L657 ydna and the southern Gadi to O M119 ydna. The Royal House was R1a Z2124 ydna since the time of Dodi (David/Dewi) I whose father was a Jewish King or Prince of Telmas in the Indian Ocean. Some of the L657 from India also moved north to join their brothers in Kazakhstan area and some moved further West into China to Xinjiang (Y30 branch of L657). Many today of Z93 ydna of Eastern Manasseh are Muslim but after they are converted to the Catholic Faith through the intercession of Our Lady of Fatima they will be restored to their fellow Manassehites and Israelite status. 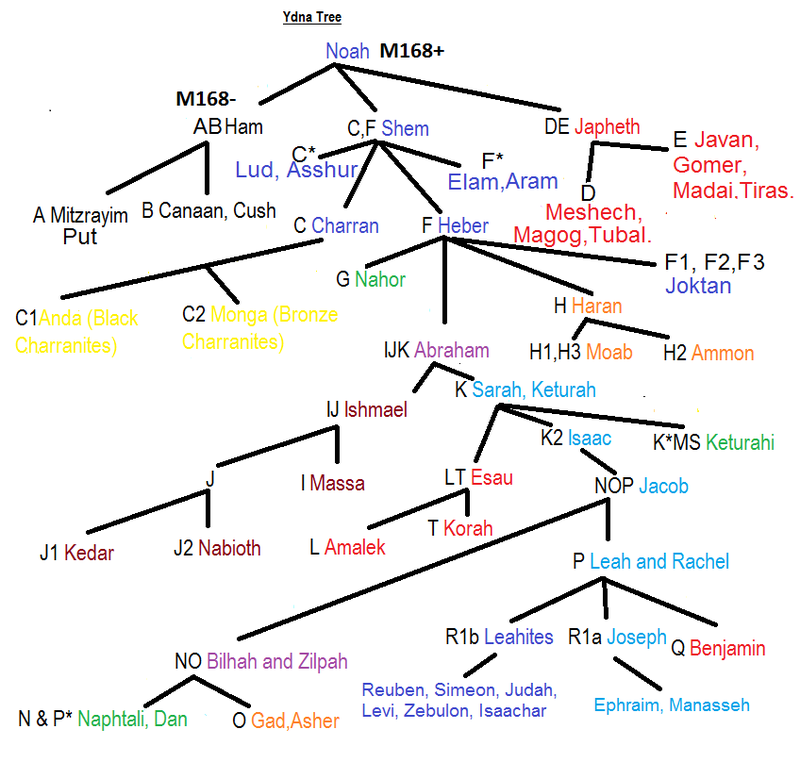 Some of course are Jewish such as the Israeli President Benjamin Netanyahu from the Ashenkazi Levite Clan from among the Jewish people descended from Z2124 ydna haplogroup of R1a Z93. We await the ingrafting of the Jewish people in the Catholic Church through the intercession of St Joseph and Our Lady of Zion. Many others are Christians including the Western Manassehites of R1a L664 ydna who will be reunited in one flock under one Shepherd (Pope) united with a Davidic Prince (the Great Monarch) as promised in Ezekiel 37. 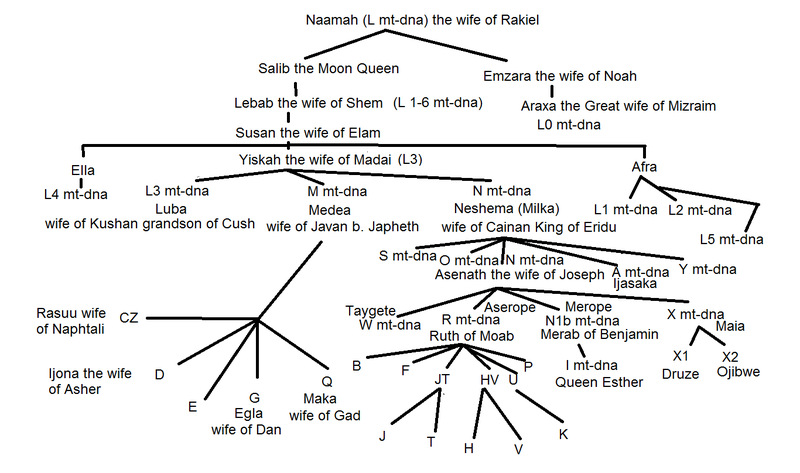 Note: The interpretation of genetics and history in this post is based on a reconstruction that accepts that all humans today descend from Noah and his family who lived no more than 5,000 years ago who were descended from Adam and Eve who lived no more than 8,000 years ago. Thus all theories based on evolutionary ideas of modern man being 200,000 are considered mere storytelling based on evolutionary myth and fantasy. This distortion of evidence is wreaking havoc on the evidence of written and legendary histories of the nations. Thus the Irish tales of the Milesians coming from Spain and Egypt which occurred around 300 BC are dismissed but the same pattern is said to have happened thousands of years before. The movements of Tribes across the Russia steppes are ignored for the same journey set thousands of years earlier. My chronology is based on Velikovsky and the traditional Jewish chronology which I have adjusted by 40 years so that the destruction of the First Temple was in 460 BC (which is 586 in the modern chronology proposed by Academia and accepted unfortunately by Velikovsky and 422 in the Jewish chronology).